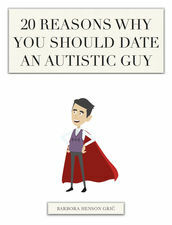 You are here Home » How to Date Someone Autistic – Special Autism Episode. These books are written with a lightness and joy that makes them a real pleasure to download and they show very clearly what you can expect if the object of your affections is on ‘the spectrum’. TV programmes like ‘The Undateables’ give a small insight into dating someone with autism or aspergers but that is always from an ‘entertainment’ viewpoint to amuse or inspire the viewer. It is very different in ‘real life’ where we are all looking for someone to be happy with. At disabilitymatch we have thousands of autistic members covering all parts of the spectrum. Every individual is different but I think that Barbora touches on many salient points drawing from her own experience of being with an autistic guy and having grown up with a somewhat autistic sister. 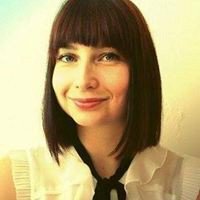 Barbora is the latest in a stream of wonderful guests from all over the world who have helped make our podcast a popular download from iTunes. On April 26th I will be talking at NAIDEX at the NEC. I will be advising our disabled community on how to get the most from their online dating. Last year we had quite a few attendees with autism and after my long talks with Barbora I feel that I can bring some excellent insider advice to help then be even more successful in building romantic relationships online.